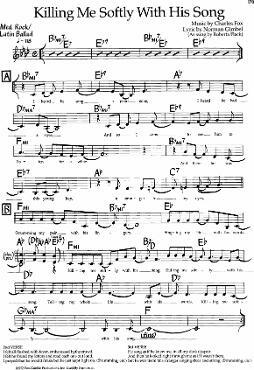 "Killing Me Softly with His Song" was written by Charles Fox with lyrics by Norman Gimbel and became a monster hit in 1973 for Roberta Flack. The song has since been covered by numerous artists. To play the tune, click on the far left arrow on the player above.